Finally, Mac App Store has received Office apps. Now Microsoft allows you to download all Office apps, that includes Word, Excel, PowerPoint, Outlook, OneNote, and OneDrive. Moreover, now you will also be able to buy an Office 365 subscription directly within the apps. 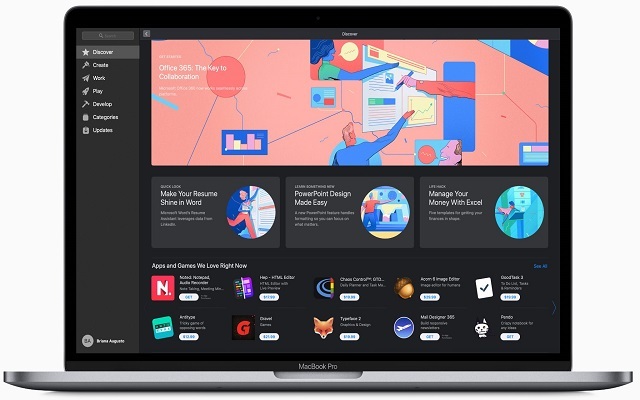 The apps have been updated by Microsoft for the better performance of macOS, it comes with some amazing features such as Dark Mode added in Mojave, Continuity Camera- that allows users to scan a document with their iPhone and it will instantly appear on their Mac), and also a support on compatible Macs for the Touch Bar. However, it has now become much easier for Mac owners to get Microsoft’s whole productivity suite of apps like Word, Excel, Outlook, OneNote, and PowerPoint.